My Little Barn | What's Best Audio and Video Forum. The Best High End Audio Forum on the planet! I realized that since I joined WBF some years ago, I actually never presented my system. The listening room is the main living room. 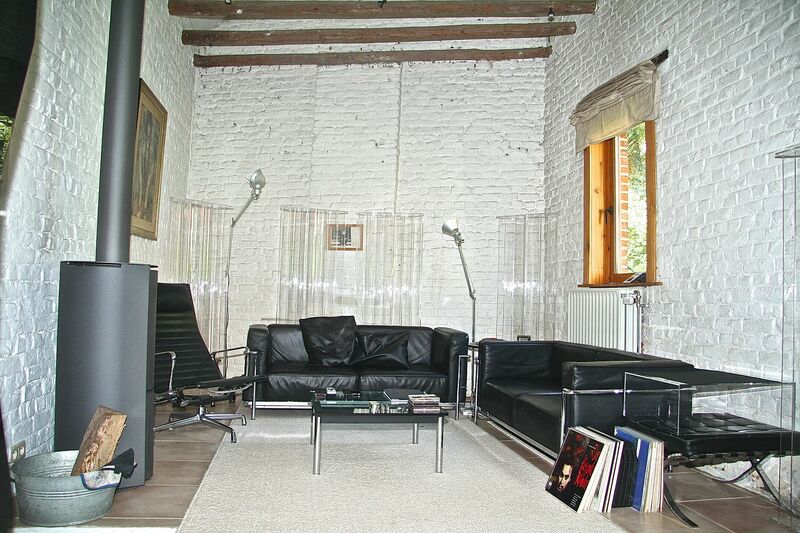 It is a small converted barn in a tiny farmhouse from the late 19th century. With their hand made bricks, the walls are uneven surfaces acting like giant diffusors. The cathedral ceiling peaks at 5.5 meter. I live in a relatively quiet area and the ambient noise in the room is measured at around 36 db. Large acrylic SMT diffusers located at each corner, the first reflection point and behind the seating area provide a highly effective acoustic treatment without too much visual intrusion. The sweet spot is about 4 meters away from the speakers. The loudspeakers are the Master 2 from Focus Audio. Their D’Appolito design requires some heavy juice. Thanks to the SMT diffuser on the left wall and the absence of a first reflection point on right wall (aperture with a staircase leading to the dining room), they can be located quite close to the sidewalls. 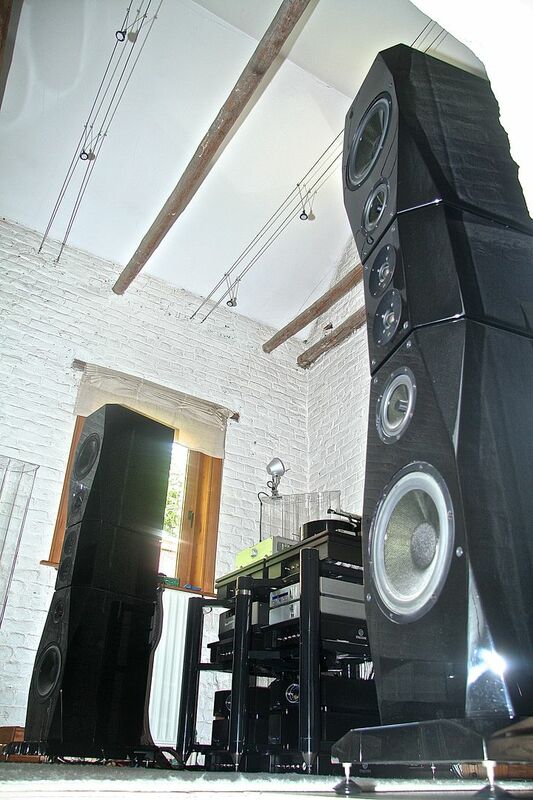 There is ample room behind them with more than 6 feet between the front wall and the rear of the loudspeakers. The audio rack is from Stacore. It is composed of a heavily damped steel frame and 6 pneumatic platforms totaling a weight of 800 Kg. The sonic benefits are tremendous: reduced noise floor, better micro-dynamics, tighter bass and slam. The power amplifiers are Krell Evolution One. I have had them for several years and I got them recently fully refurbished. They are powerful and fast with tight bass and slam that hits you in the chest when listening at realistic levels. 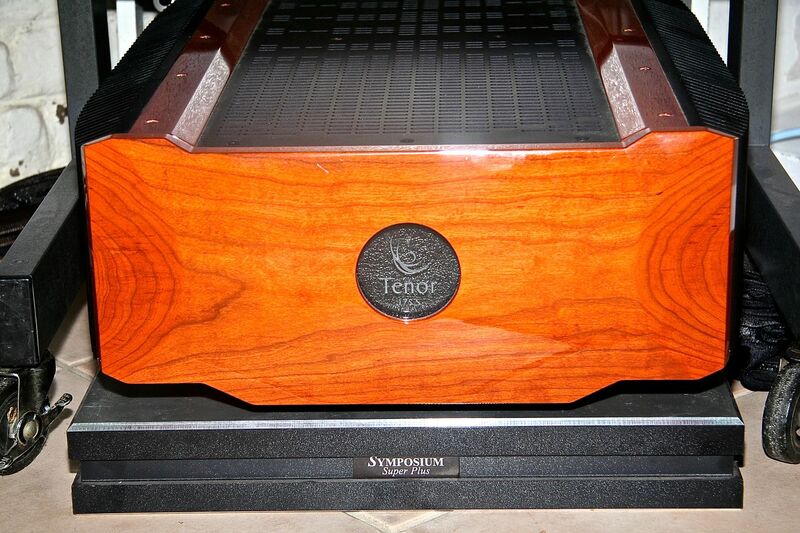 I also have a Tenor Audio 175 S sitting on a Symposium platform located beneath the tape recorder. This hybrid design is highly musical and makes wonders when playing chamber music, small-scale orchestra, vocal and solo music. The preamp is a Krell Evo 202. It drives both the Krell and the Tenor Audio power amps. Switching from one to the other is done in a breeze. I however need to adjust the input level trims when switching from one amp to the other one. This is done in a matter of seconds through the interactive menu. 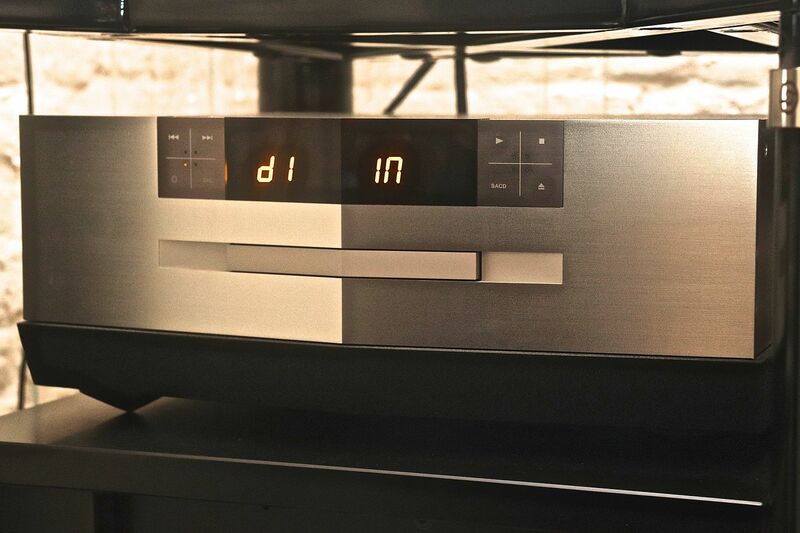 The digital source is composed of an integrated TAD D600 CD/SACD player/DAC and a modified Aurender X100L music server. The Aurender’s switch mode power supply is bypassed with a custom-made linear power supply. 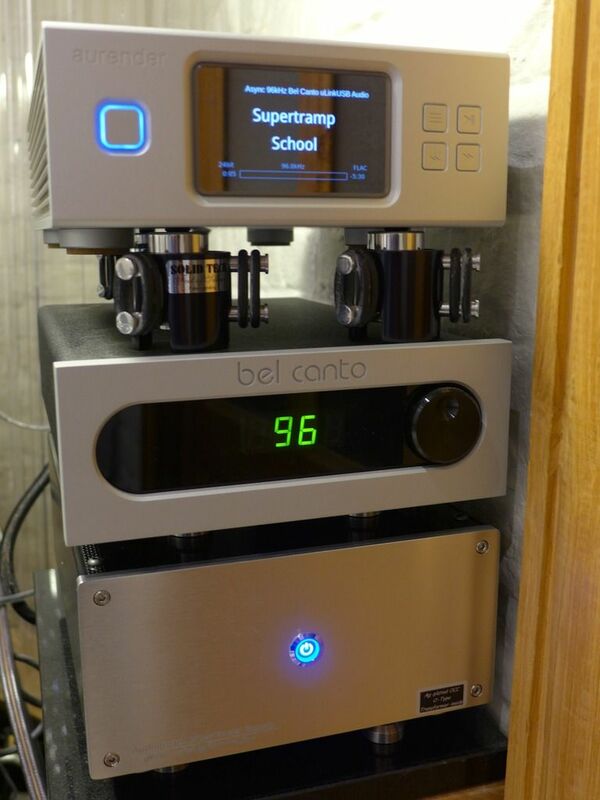 A Bel Canto USB interface allows using the AES/EBU digital input from the DAC. 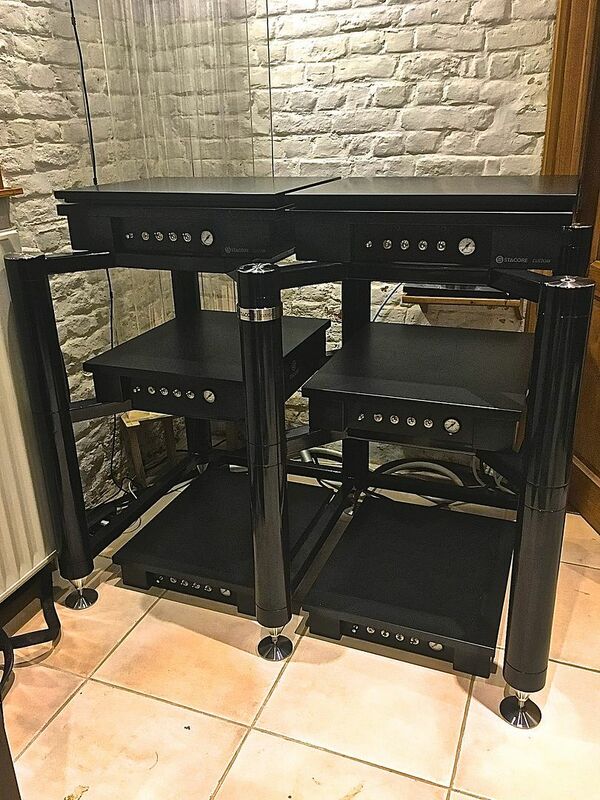 Whilst the TAD 600 is sitting in the rack, the music server is hidden behind and sits on a console bolted to the front wall. I have a subscription to Qobuz so I can stream in high resolution and I also purchase high-resolution PCM files from Qobuz. 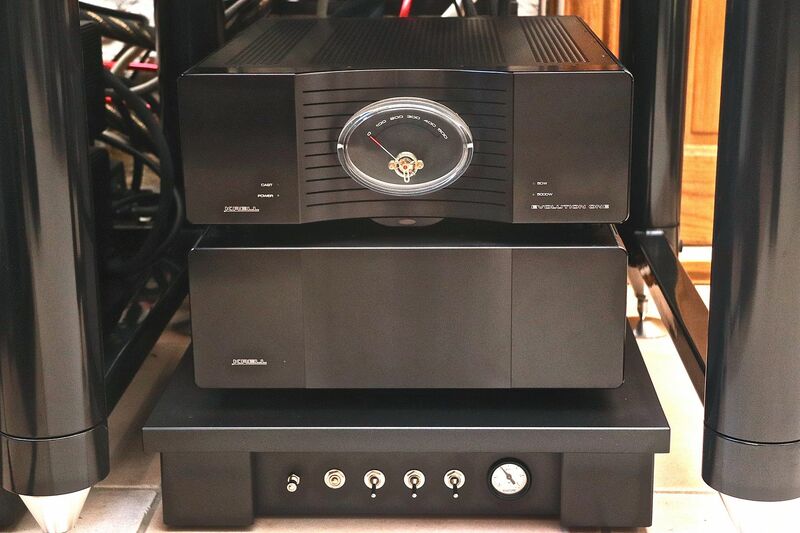 The phono preamp is an Allnic H3000V. I replaced the Mullard amplifier tubes by NOS Telefenkun. The rectifier tube is a KR Lampizator Anniversary, which has significantly enhanced the sound. 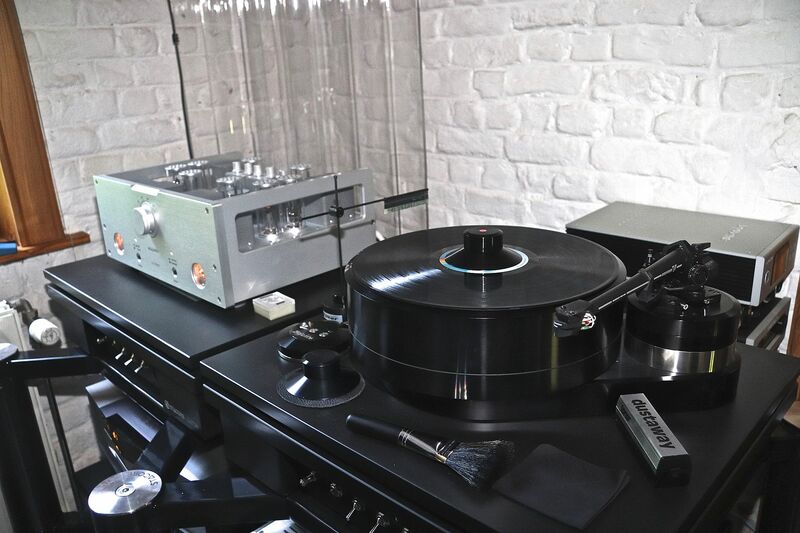 The Turntable is a Brinkmann Balance fitted with the Sinus motor and the optional tube power Supply RöNt II. The tonearm is a modified 9-inch SME V 9. The internal wiring has been changed. The head shell leads are Furutech La Source and an Ikeda cable has replaced the dreadful stock Van den Hul phono cable. The cartridge is a Transfiguration Proteus. This is my second Proteus as I got a standard exchange when I sent my previous one for retipping. 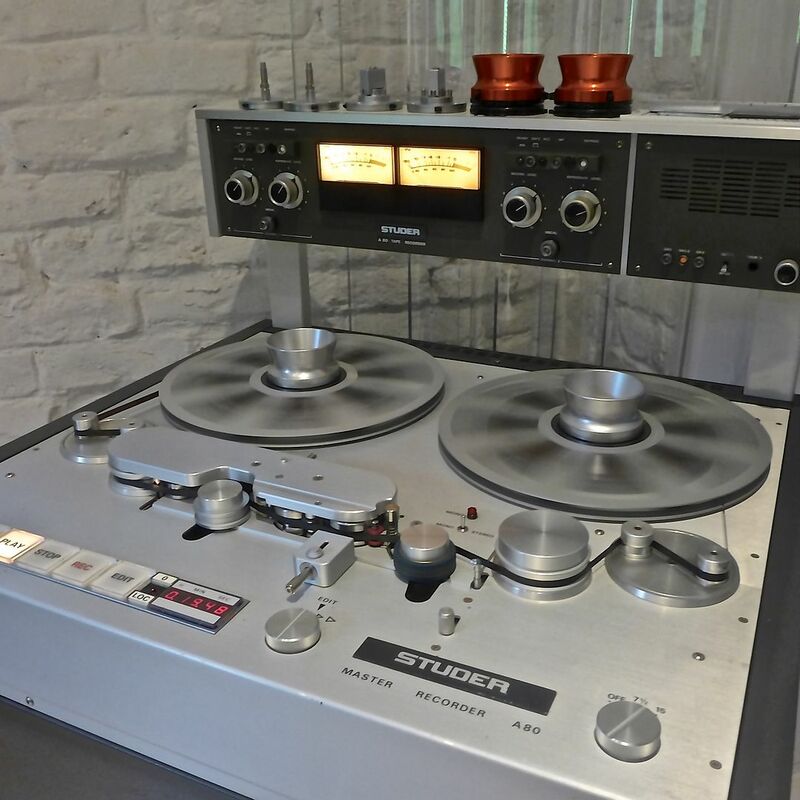 Finally, there is a Studer A80 RC MK II tape recorder that was fully overhauled by a studio pro tech who has more than 40 years of experience with Studer. My tech is against the use of tape head preamp. 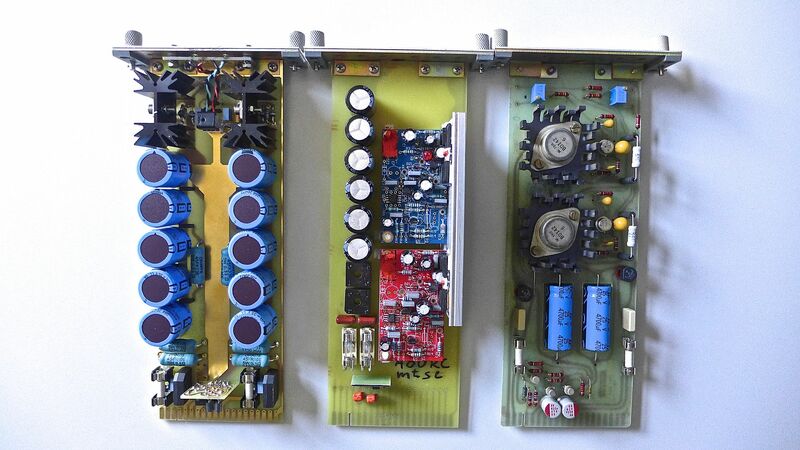 He has however optimized the repro cards and he designed a bespoke stabilizer card, which trumps the Studer one. I also have a second set of repro and stabilizer cards from Tudor Dimitrov. All electronics are connected to Entreq grounding devices that are very effective. I opted for small individual boxes. 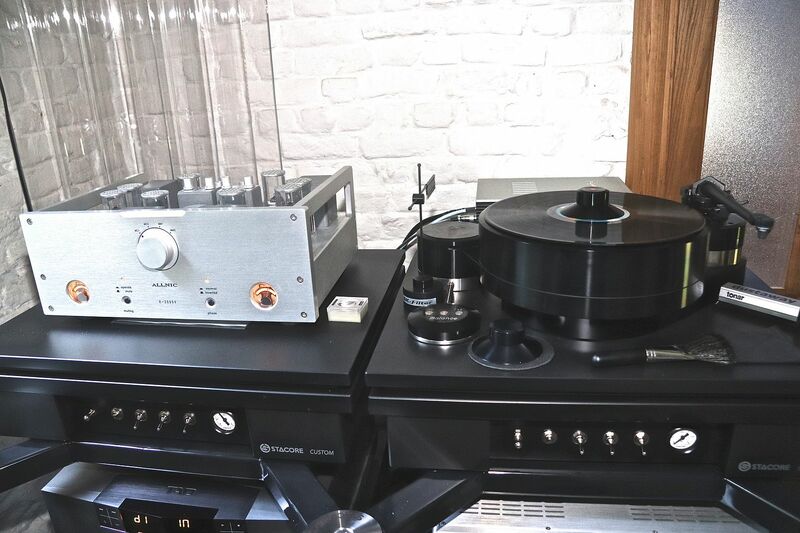 The loudspeakers, the preamp and the phono stage have their individual combo composed of a Silver Minimus, a Silver Atlantis and 2 Everest boosters whilst for the digital front end and the Studer, I opted for the Olympus Ten and an Everest booster. Interconnect cables are Argento flow for the TAD player, the phono Stage and the Krell power amp. For the Studer I opted for 3-meter long XLR cables from Legato Audio. 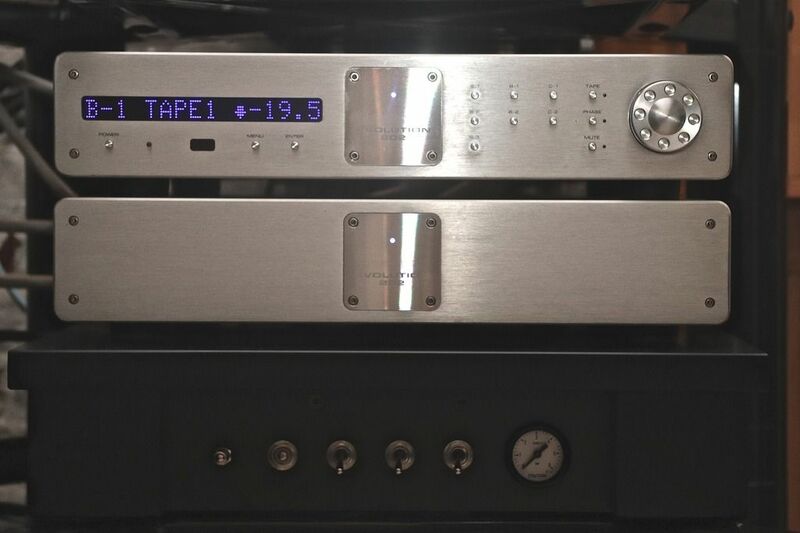 The Tenor Audio power amp is connected to the Krell preamp via 3-meter long XLR Silent Project Hydra cables. I also have Krell CAST cables between the power amps and the preamp but I barely use them. There is a dedicated line. The power distributor is an Ansuz D and I use a variety of power cables (among others Argento Flow, Ansuz C, Stealth Dream V10, Gigawatt, ...) that were all individually tested in my system prior I purchased them. Choosing Loudspeakers cables proved to be difficult. I tested a dozen of cables. All the silver ones that I tested (Wireworld Platinum, Gold, and Silver, Audioquest, Argento and many others) were way too bright. 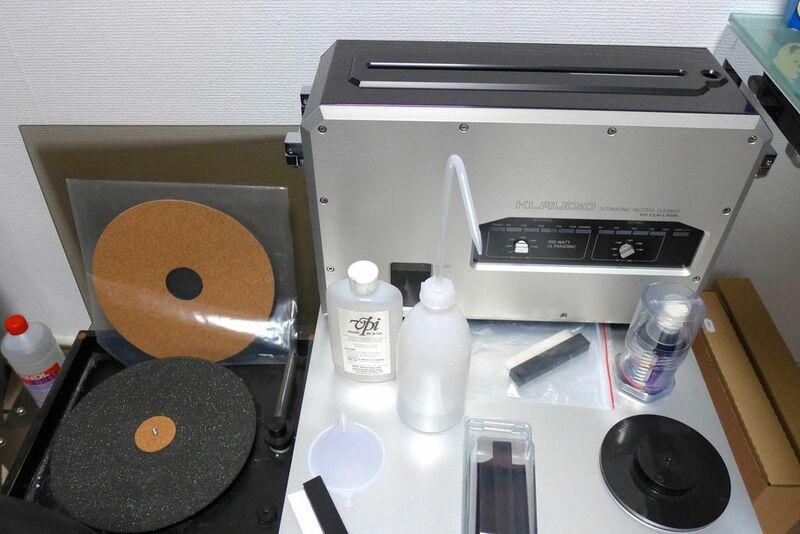 I settled for copper with the relatively modest Wireworld Eclipse 6 that, in my system, achieved the best results. I have two pairs: one for the Krell and one for the Tenor Audio. I just need to swap the connections when I want to switch from one amp to the other one. My music is stored in adjacent rooms (2500 LPs, 2000 CDs/SACDs and about 200 tapes – a third of them being 12 inch reels). I have reduced my purchases of LPs and CDs/SACDs in favor of tapes and to a lesser extent high resolution PCM files. Digital is secondary as I am mainly an analog guy. In a separate room, I have a KL Audio and a VPI 16.5 RCM as well as an Orb record flattener. 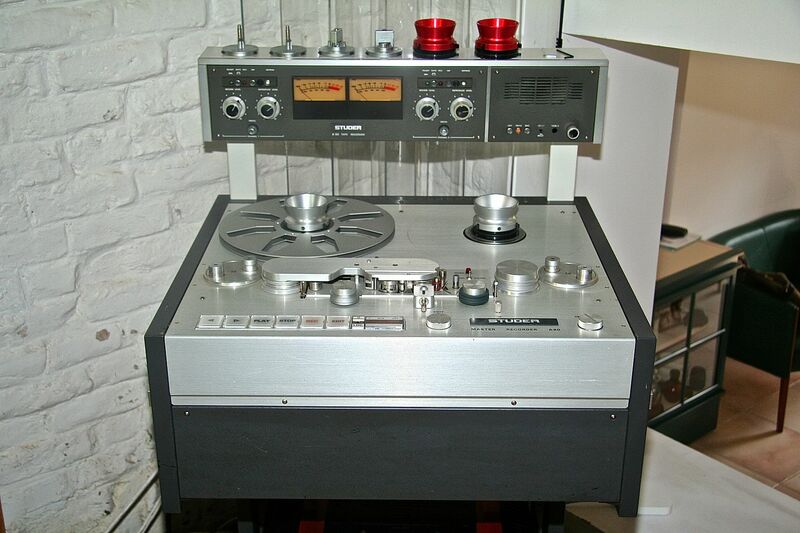 I would like to replace the Symposium platform on which the Tenor Audio is residing by a Stacore Basic platform but I need to find larger castors for the Studer in order to increase the usable height under the trolley. I will ultimately retire the SME V tone arm. I am considering opting for a 9-inch SAT but there is no urgency. I have no other plans for upgrade. 1. There seems to be lots of untreated hard surfaces. And possibly long-delay echo from that very tall vaulted ceiling? It is true, there are people living in little inexpensive homes so they can spend huge money on stereos! I see a Woofer & Tweet coming on that. Looks like a very nice private getaway! Love the room. Very nice gear, too. Enjoy! You have obviously put in a lot of hard work and care into it and it shows. That is a fantastic and clearly very well thought out set-up! I like the high ceiling and the brick walls. I also really like the Studer! Congratulations! What is the length and width of your room? Very nice setup ! I’m sure you don’t need the woodburning stove when the Krells are on. What a nice system and room, congrats. The Stacore rack looks beautiful and very impressive. 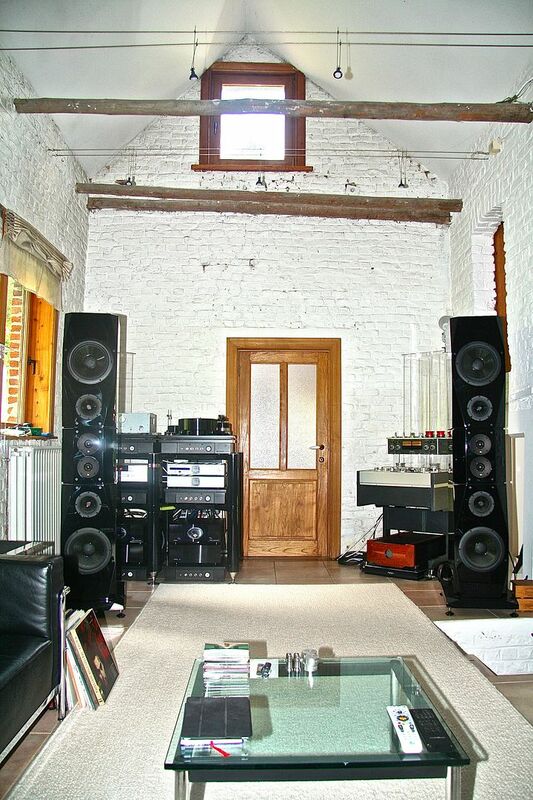 Impressive system and room. The Evolutions are fabulous electronics - a good friend owns them with Alexandria's. I also loved them with the Krell LAT1000 - this combo never got the praise it deserved, IMHO. But the Evo's are real heaters, even in standby! Nice set up , congrats . Where is the PSU for the TAD D600 ? Have recently acquired one , I think it is a fab front end . Flyer who is a member here helped me enhancing the acoustics and he might provide better explanation than me on the topic. The SMT diffusers are contributing a lot in that respect. 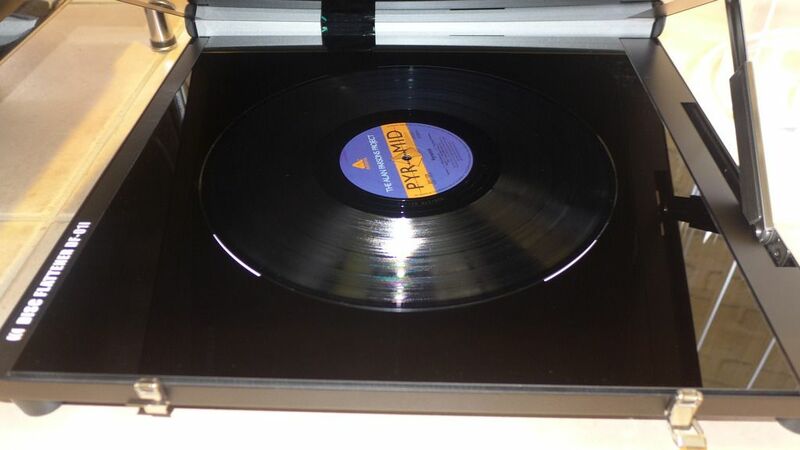 I have a plexiglass cover to protect the turntable when the system is off. The door is opening towards the rack and therefore somehow protects the system. The door cannot hit the rack either. I could not imagine removing these boxes from the system. I also really like the Studer! Congratulations! Listening to tapes is addictive and switching back to other sources is a challenge. The barn is small and its dimensions are 7 m (L) X 3.7 m (W) with a maximum height at 5.5 m, almost the double volume of a traditional room of the same surface (not speaking of the old houses in Brussels where the ceiling height is usually at 3.5 m or even higher). I would have loved having one more meter in length and width but finding a barn was already a blessing as there aren't many around my area. The Krells indeed run very hot. The Tenor Audio is therefore welcome during the summer time. It takes about 30 seconds for switching from one to the other. The Evolutions are fabulous electronics - a good friend owns them with Alexandria's. I also loved them with the Krell LAT1000 - this combo never got the praise it deserved, IMHO. But the Evo's are real heaters, even in standby! The Evolutions are the best Krells I ever heard and I would not part with them. The recent overhaul was expensive but worth every penny. I soon will have an additional ventilation system with 4 ultra quiet fans (15 dB) for extracting the heat above the Krells and get it dissipating behind the rack. Where is the PSU for the TAD D600 ? Have recently acquired one , I think it is a fab front end. 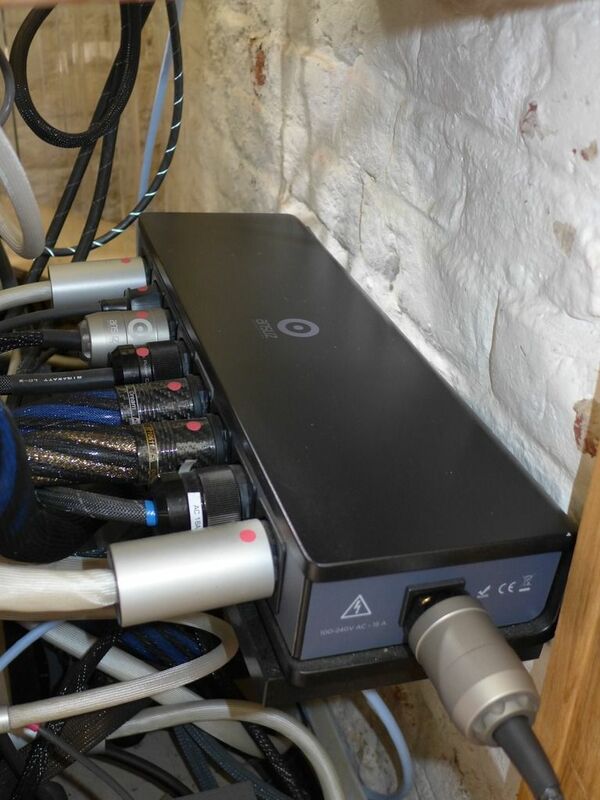 There is ample room behind the rack to hide the 4 PSUs away from the electronics (TAD, Allnic, Brinkmann - 2 PSUs - one for the bearing and one for the motor). They all sit on granite basis and Stillpoints SS for some of them. The TAD D600 is one of the best integrated players I have listened to. The build quality is second to none. Congratulations. I LOVE the room. Having that dedicated space would be a dream. You have a wonderful set of gear. I bet the system sounds wonderful. Many thanks for sharing it with us. Great space, has a lovely character and strong sense of place. Clearly there has been much time and development gone toward building the system through time with some great iconic pieces. 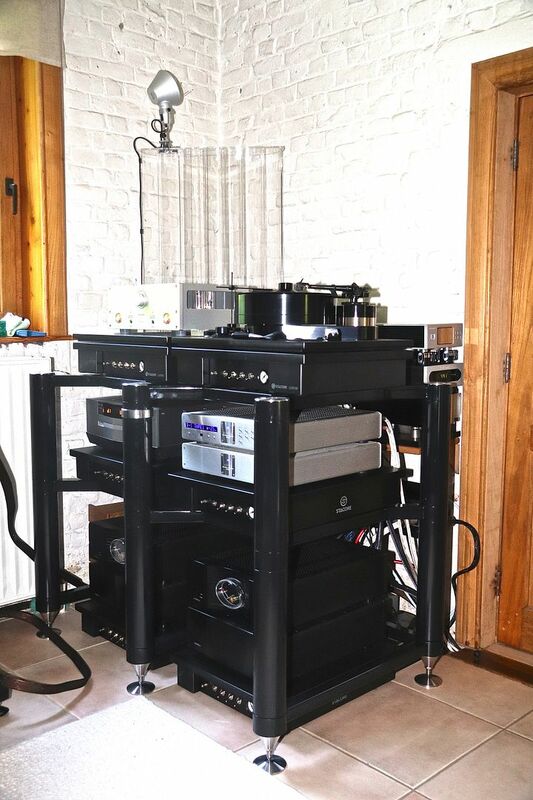 Love that tenor amp and the Studer ofcourse looks like the business, congratulations and thank you for sharing your bit of the audio world. 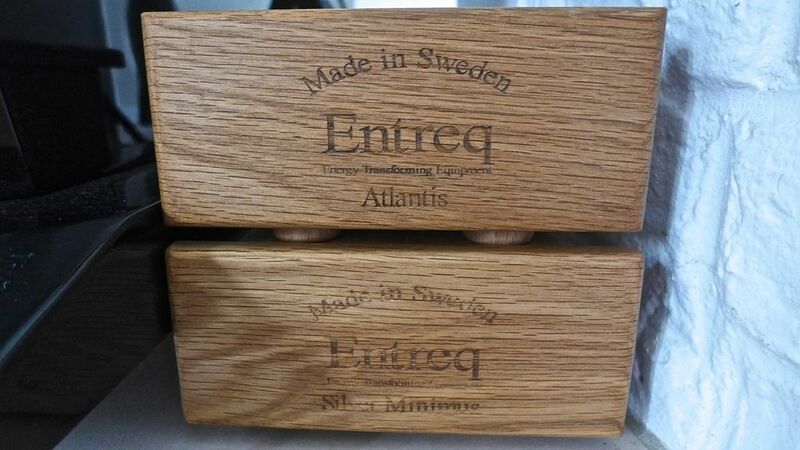 Yes I agree the Entreq boxes do make a really positive improvement to the sound quality. You owe it to yourself to hear the TAD mounted on the Giant Mooks. Maybe resident Mook master Ked will send you his pair to try. Putting the TAD on a Stacore pneumatic platform was already a giant leap forward. I could not believe the sonic improvements I got since I recently got the Stacore audio rack into my system. Stacore advises not using footers/coupling devices with their platforms though I understand that they are developing their own to be specifically used with their platforms. I'm on it. It's all about priorities. How many times have you driven past an extremely modest home with an exotic sports car in the driveway? I see this often here in southern CA. Love this space and am glad you shared it here. I never considered that having a large house was a matter of status symbol. It is a question of personal convenience. I used to live in London and Paris prior moving back to my homeland at the time I bought the house so I know what a small apartment means. Everything is relative. The cost of real estate in my area is everything but inexpensive. Many young households are not able to settle in the communities where they grew up as kids. The little farmhouse was just love at first sight and the love affair still continues. My two kids are in college and I see many of my friends selling their large house now that their kids have moved on. I plan to peacefully retire in my house and enjoy the system in my little barn. 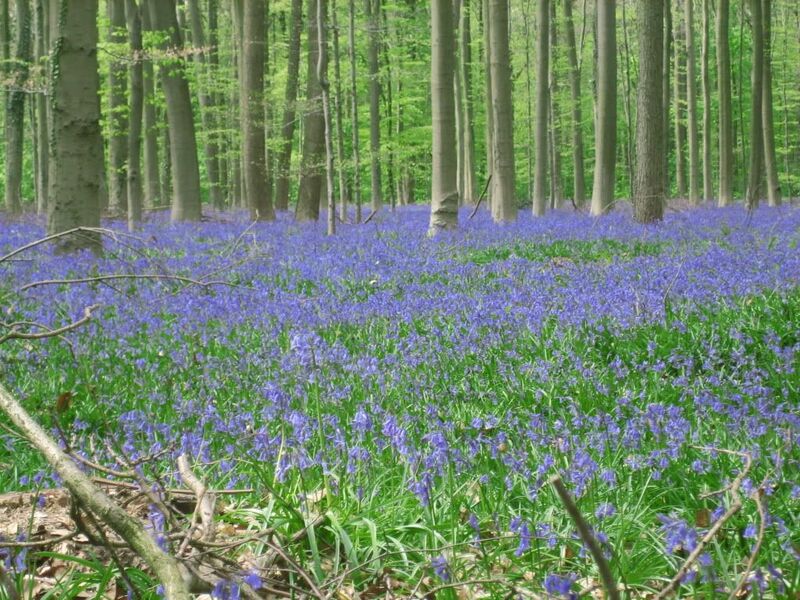 There is also something unique at the end of my street (these are the true colors - it is not photoshopped). For the avid cyclist that I am, riding through the bike paths is priceless. It is like a sailor having his house along the ocean or a golf player living on a golf course.